Jamiya is a simple, creative and responsive HTML template for showcase your portfolio and personal information. We used all modern technologies like HTML5, CSS3, bootstrap and jQuery in this template. 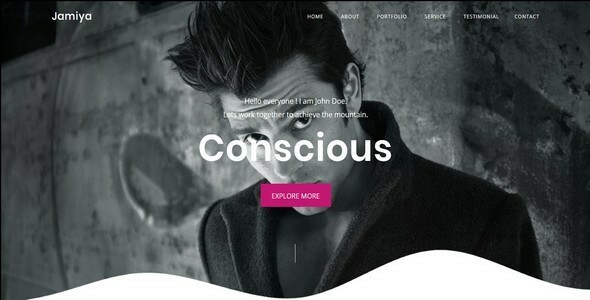 This template gives you a personal space to share what you are all about as a creative designer, developer, photographer or pretty much any profession! The template is 100% responsive and supports all new and old browsers.All the codes are clean and well organized.